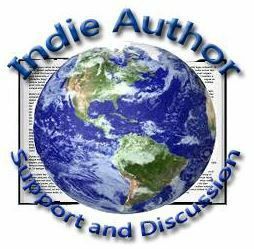 and you get to discover new authors to thrill you! Short stories are the perfect way to find new authors, to discover new favourite stories, and to see who you want to read next… No matter which genre you love one of these three books will hit the spot, either for you or for the bookworm in your life. 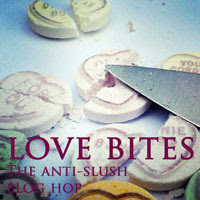 Three collections of short stories guaranteed to delight you. If you adore dragons and an eclectic choice of stories my latest release: A Symphony of Dragons contains seven stories that are linked through the theme of dragons. Soar on dragon wings within a collection of fantasy, contemporary, romance, steampunk, and post-apocalyptic tales composed with the gossamer threads of dragon fire. You’ll find yourself lost amid a lyrical quartet of seasons as you discover the dragons that bring you Spring, Summer, Autumn, and Winter. Read a short steampunk tale of magic and love potions… My sweet, icy romance (also found in A Winter’s Romance and too good to leave out of my own book!). A beautiful conclusion to my Hope Within novels, find out what happened to Freya, Meg, and Jasmine. Witness the passion of dragons as they twist and soar through a glittered sky. My longest story (also found in Cutthroat and Curses) will entrance you with steampunk pirates raiding to save their lives, and the last post-apocalyptic tale will introduce you to The Seren Stone Chronicles and a whole new future…and you will find dragons in every tale. You can buy A Symphony of Dragons, featuring my own cover art, in eBook or paperback at most online stores. You can also buy a signed paperback (at a discount price) in my Etsy shop Amaranth Alchemy. This book gives you 19 beautiful stories from amazing authors. Tales that will enchant you, and stir you and some that will terrify you. You’ll get dragons, music, and thrillers, history, and laughs. You’ll shiver and tingle and giggle and smile. You’ll get a whole variety of short stories and the one thing I can promise you is that you won’t regret reading them! A Winter’s Romance features authors: J.S.Bailey, LaDonna Cole, Drea Damara, Sara Daniell, Natalie Gibson, Bibi Hamblin, C.R.Hiatt, Kaite Jennings, S.R.Karfelt, D.M.Kilgore, Alice Lakewood, Elise Manion, Emmie Mears, Melissa Hladik Meyer, Tom Mohan, Patricia Paris, Lisa Shambrook, Hannah Steenbock and A.D.Trosper. A Winter’s Romance in a gorgeous Paperback and Kindle on Amazon. And find it at all online stores at BHC Press. And if you prefer adventure, the brilliant post-apocalyptic thriller: Human 76 put together by myself and Michael Wombat is perfect. You can read about how this collaboration came to be in two of my blog posts: Human 76 – Ghabrie is on her way… and Human 76 Release as this is a project very close to my heart having been inspired by a photograph of my own daughter on our family post-apocalyptic photoshoot! 15 stories from 14 authors written without knowing how they would intertwine. Ghabrie loses her little sister in a raid and sets out to find her. On her journey she discovers eclectic communities, enemies and allies. Ghabrie and her search is the theme that threads through the book, but what you get is a gorgeous vignette of many lives, some struggling and some prospering, in the Post-Blast world. What leads them to Ghabrie? How do they meet her? Does she affect them? How do their stories impact hers? You’ll have to read them to find out. Human 76 features authors: Lisa Shambrook, Michael Wombat, Alex Brightsmith, Denise Callaway, KJ Collard, Alison DeLuca, Michelle Fox, Rebecca Fyfe, Jeff Hollar, Nick Johns, MS Manz, Julia Rios, KR Smith and Steven Paul Watson. Seriously, you cannot go wrong with any of these book, so, order a paperback and slip it into a loved one’s Christmas gifts, let them discover a great read in their Santa Stocking, preload a Kindle, or buy it and give yourself a well-deserved treat! You can also pick up my Hope Within novels… available on Amazon and online bookstores. Beneath the Rainbow, Beneath the Old Oak, and Beneath the Distant Star are books that will lift your spirit and steal your heart. All three are available as signed paperbacks at a discount in my Etsy shop Amaranth Alchemy. Beneath the Rainbow signed 1st edition paperback is currently priced at only £2.50 + P&P a true bargain at Amaranth Alchemy! So, find your Christmas books, your gifts, and your next read, and enjoy! This entry was posted in A Symphony of Dragons, Anthology, Authors, Beneath the Distant Star, Beneath the Old Oak, Beneath the Rainbow, Books, Christmas, Hope Within, Human 76, Reading, short stories and tagged A Symphony of Dragons, A Winter's Romance, Anthology, books, Christmas, Human 76, reading, romance, Short Stories on 22nd November 2017 by Lisa Shambrook. (other than my own Hope Within novels) which are great books to gift. And as a bonus I have stories in both of them! Many people love receiving books for Christmas, myself included, and choosing the best book can be tough. However, I’m covering many bases with these two! If you, or the person you need the perfect gift for, love romance, I have a beautiful book to cosy up with this winter: A Winter’s Romance from BHC Press, and if you prefer adventure, I can heartily recommend the brilliant post-apocalyptic thriller: Human 76 put together by myself and Michael Wombat. Both are available in paperback for the discerning reader who likes to hold a physical book in their hands, and you can download them onto your device or Kindle for the more progressive type! All buy links will be posted below. A big plus is that you will help a charity when you purchase either of these books. Spread the love! You can find A Winter’s Romance in a gorgeous Paperback , Hardback from 9th December 2016 or Kindle on Amazon and on B&N, and Kobo and iBooks. 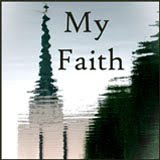 $1.00 from the sale of each book will be donated to Forgotten Harvest (A member of Feeding America). What you get is 15 stories from 14 authors written without knowing how they would intertwine. Ghabrie loses her little sister in a raid and sets out to find her. On her journey she discovers eclectic communities, enemies and allies. Ghabrie and her search is the theme that threads through the book, but what you get is a gorgeous vignette of many lives, some struggling and some prospering, in the Post-Blast world. What leads them to Ghabrie? How do they meet her? Does she affect them? How do their stories impact hers? You’ll have to read them to find out. or buy it and give yourself a well-deserved treat! 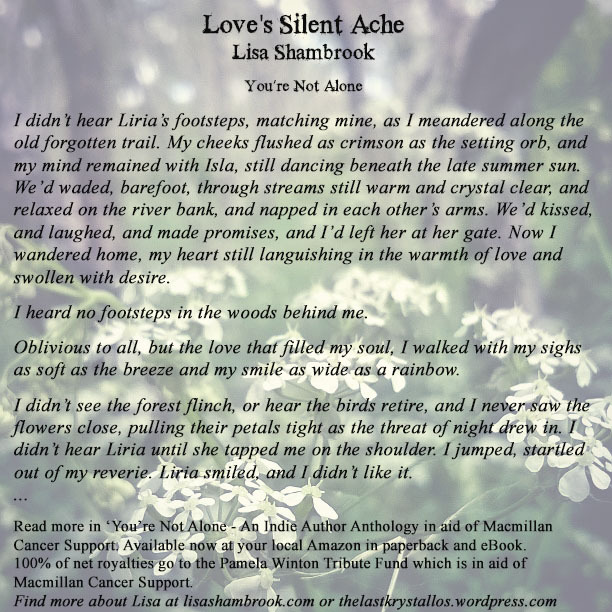 This entry was posted in Anthology, Authors, Fiction, Gifts, Human 76, My Books, Reading, short stories, Writing, Writing Collaborations and tagged A Winter's Romance, Authors, BHC Press, books, buy books, Christmas gifts, gifts, Human 76, post apocalyptic, romance, Short Stories on 7th December 2016 by Lisa Shambrook. (the theme of this collection), then look no further. You will be whisked into a magical world of remembrance with Sylva Fae’s gorgeous tale ‘Lilies for the Mantel’, enchanted by my own fairytale ‘Love’s Silent Ache’, have your heart stolen by Nico Laeser’s ‘No Longer Broken’ and stirred with ‘A Year Afterwards’ by Lesley Hayes. Throw in a great mix of stories including Max Power’s ‘Babes’, ‘Last Goodbye’ by Paul Ruddock, ‘If the Shoe Fits’ by Katharine E. Hamilton and ‘Ooh Air Margrit’ by Rebecca Bryn, and you’re onto a winner. These are just some of my favourites and there are plenty more! 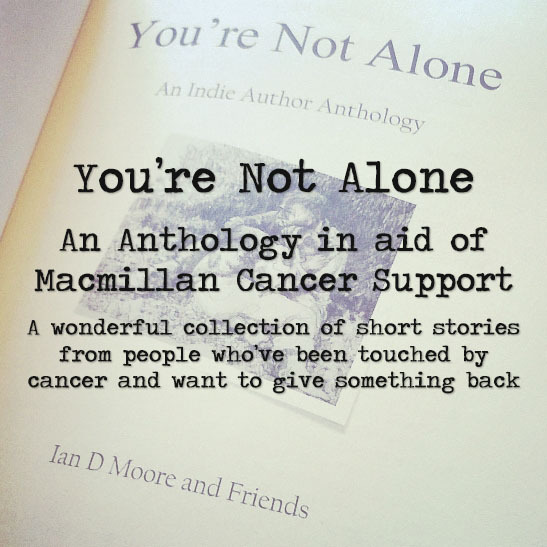 I was happy to add my own story to this collection, since cancer has reared its ugly head in my own family, time and time again. I understand its ravaging pain and legacy, and truly wish to contribute something to the fight to beat it. When we were given the theme relationships, I chose to write a fairytale…a story of love trapped within the grasp of an evil power that refused to let go. Cancer is often unseen to begin with, something that grows and develops on its own into a canker that finally reveals itself. I hope and pray that one day, cancer and myriad other diseases that befall us will be eradicated, it’s only through research that this can be achieved. While we wait, there is an army of nurses who refuse to let cancer win, giving of themselves to help those afflicted to stay as healthy and strong as they can, while they can. I applaud these nurses, who help make cancer bearable for the sufferers and their families. Each of the authors have been touched in some way, by cancer and when invited, wanted to help give something back. 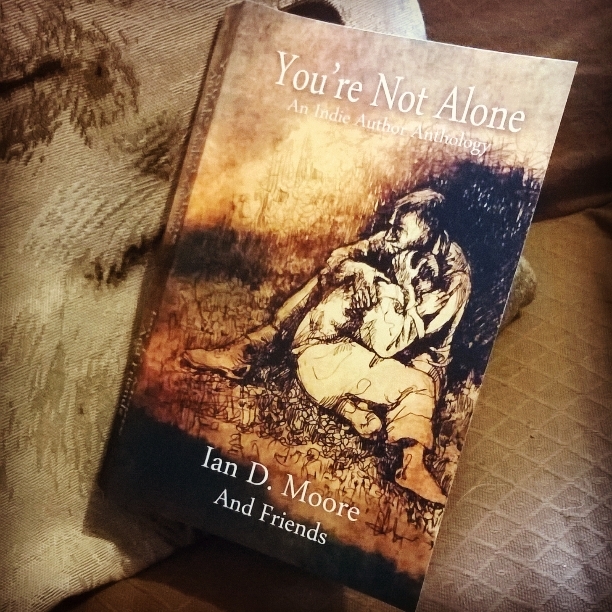 This anthology was thought up by author Ian D. Moore, after losing someone very dear to him, and he soon rallied the support and help of his author friends to put this book together. 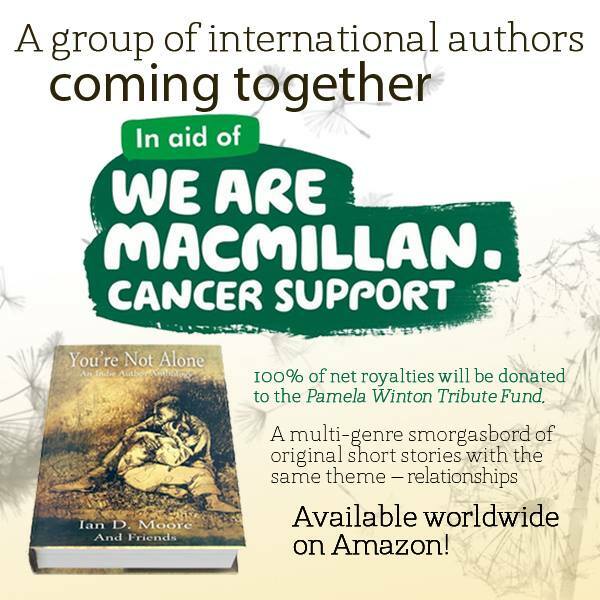 All net proceeds from this book will go to Macmillan Cancer Support via the Pamela Winton Fund and you can also donate directly to The Pamela Mary Winton Tribute fund. This fund is in Pamela’s name but all donations go to Macmillan Cancer Support. Any kind donations are gratefully received. Read more details about the conception of this book and support in my previous post. 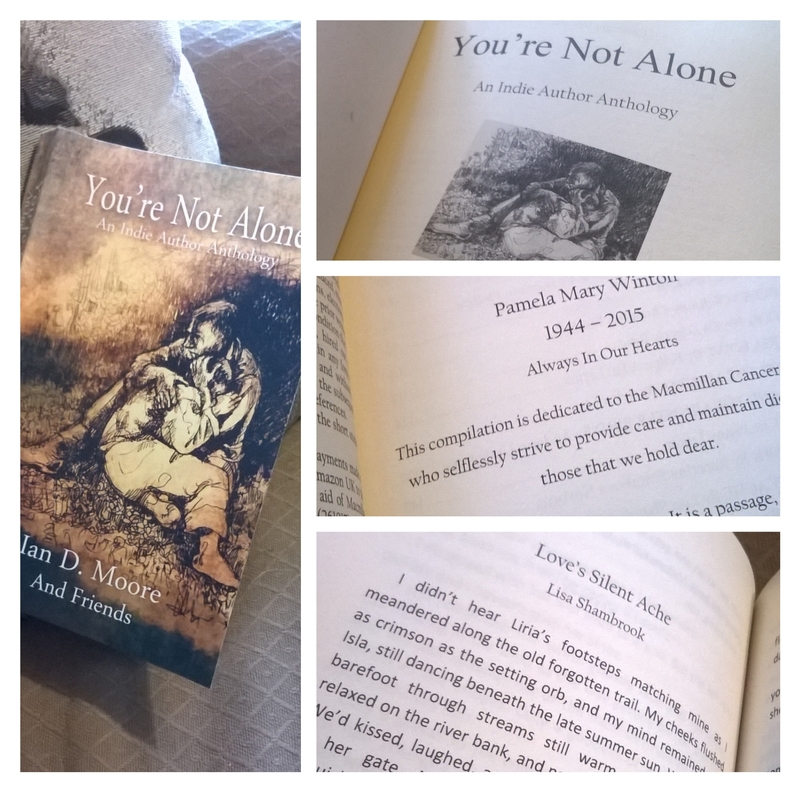 This link will take you straight to your local Amazon store where You’re Not Alone is available in both paperback and eBook. Only £1.99 for eBook and £8.99 for paperback. Treat yourself to some great stories and all in a great cause! This entry was posted in Anthology, Books, charity, indie Authors, short stories and tagged Anthology, Cancer Support, charity, fairytale, fiction, Ian D. Moore, indie authors, Katharine E. Hamilton, Lesley Hayes, Love's Silent Ache, Macmillan Cancer Support, Max Power, Nico Laeser, Paul Ruddock, Rebecca Bryn, relationships, Short Stories, Sylva Fae on 15th July 2015 by Lisa Shambrook.